Darkness Divides is now Available! Thanks to everyone for their patience. 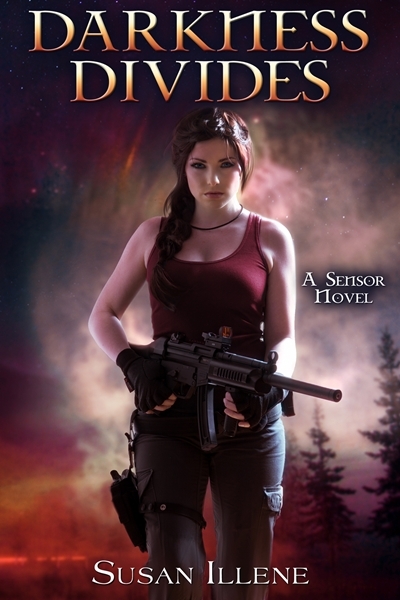 I’m excited to let you all know Darkness Divides is now available on Amazon and as soon as it is available with other retailers I’ll post the links for them here as well. For those wondering, this novel came to almost 108k words, which is the longest one I’ve released yet (see the book tab above for word count on the others). This is honestly my favorite novel so far, but I’m biased so I’ll leave it up to you all to decide what you think! As a release day bonus, the first twenty people who comment on this post will be eligible to get a set of series bookmarks (regardless of where you’re from). Be sure to put a valid email address in the comment field so I can contact you. Two random people from among the twenty will also get a free signed paperback copy of Darkness Haunts (the first book in the series). *Update- The full number of comments has been reached. I’ll be contacting everyone soon to get your addresses to send the bookmarks and I’ll announce on a separate post who won the paperback books.